During 2017 and 2018, Jono and Emily completed a large project for the respected Timberyard restaurant in Edinburgh. The Timberyard is run by the wonderful Radford family. The space reflects the care and thought the family put into every element of their restaurant, so it was with real pride and excitement that Jono and Emily undertook this project. 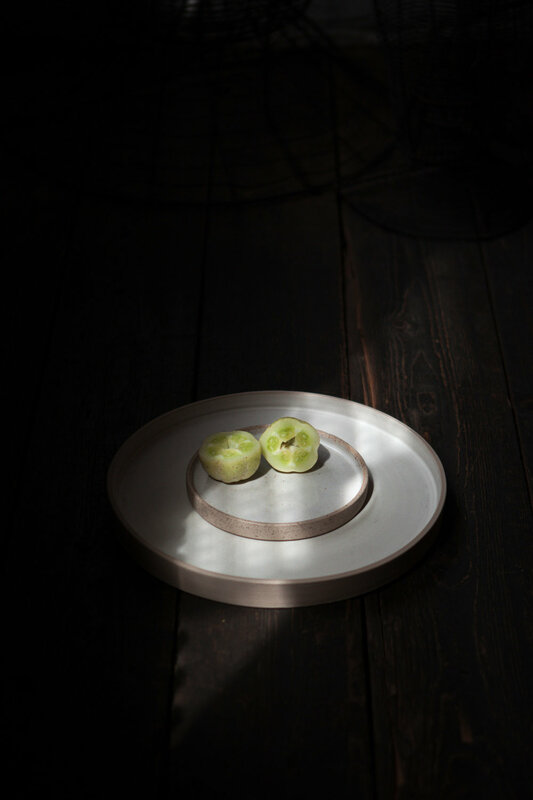 A range of tableware and barware was designed based on the minimal aesthetic and gentle tones of the restaurant. 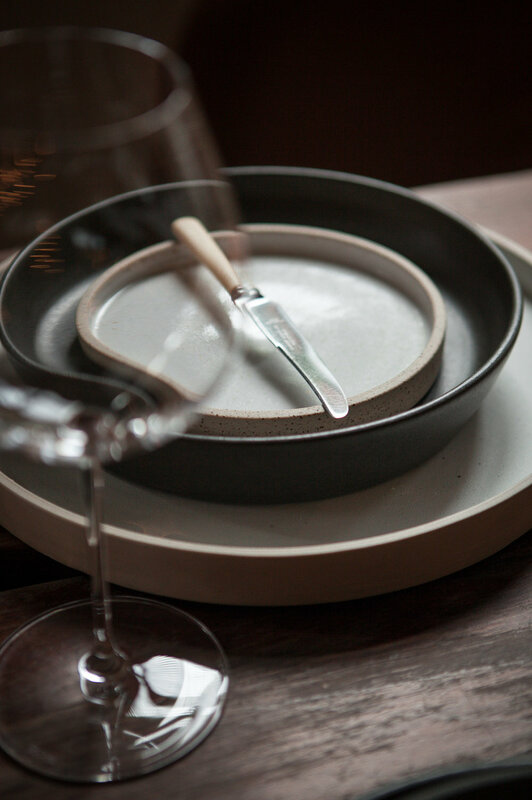 Over 1,200 pieces of pottery were handmade from a tonne and half of clay over a twelve month period. The work is now in use daily and Jono and Emily will be forever grateful for the support the Radfords showed in them during the process.